Organigram Holdings Inc. (OTCQX: OGRMF) reported its first fiscal 2019 quarter results with net sales for the three months ending November 30, 2018, of $12.4 million, up 419% from $2.4 million in Q1’2018. Sales rose 287% sequentially as the impact of legal adult use sales in Canada continues to be felt on the income statement. Net income for the quarter was $29.5 million, or $0.195 per share on a diluted basis versus a net loss of $(1.2) million, or $(0.012) per share in Q1’2018. It was also a big jump sequentially from the fourth quarter net income of $18.0 million, or $0.152 per share on a diluted basis. The company said that the gross margin percentage, excluding fair value adjustments on biological assets, increased to a record 71% during Q1’19 compared to 25% in the prior year comparative quarter and 50% in Q4’2018. Gross margin increased to $51.7 million in Q1’2019 from $1.3 million in Q1’2018 and $32.5 million in Q4’2018. If the company excludes fair value adjustments on biological assets, these figures would be $8.8 million, $0.6 million, and $1.6 million, respectively. “While we continue to work hard to take advantage of our enviable inventory build to drive increased sales we are already well underway preparing for the derivative and edibles launch during the fall of 2019,” added Greg. 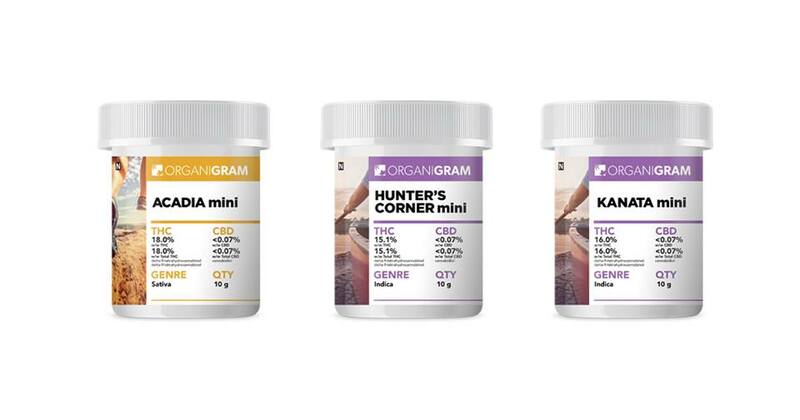 Organigram said that fiscal 2019 sales will continue to be dominated by adult-use recreational revenue and that the second fiscal quarter will be the first full quarter of adult-use recreational sales for the company. Net revenue for the quarter is expected to be at least twice that of Q1 and currently, inventories are at $91.4 million up from $45.0 million at year-end August 31, 2018. The company said it is also actively looking at outsourcing part of its “available for extraction” inventory balance as it represented approximately $38.0 of the $91.4 million inventory balance at quarter-end. The earnings statement also noted that the budget for Phase 4 of the Moncton Campus expansion has increased from the original $110 estimate to $120 to $125 million due to the increased cost of steel, the timing of winter construction, and expedited timelines. Phase 4A is expected to come online in April 2019 with 31 grow rooms, 4B in August 2019 with 32 grow rooms, and 4C in the Fall of 2019 with 29 grow rooms bringing the company’s target production capacity to 62,000 kg/yr, 89,000 kg/yr, and 113,000 kg/yr, respectively. The company had spent approximately $37 million on Phase 4 by the end of Q1’19. Last week, Organigram entered into an agreement with 1812 Hemp, a New Brunswick based industrial hemp research company to secure supply and support research and development on the genetic improvement of hemp through traditional plant breeding methods. As part of the deal, Organigram has access to approximately 6,000 kg of dried hemp flower harvested in the fall of 2018, which it intends to purchase and begin to send for extraction within the first calendar quarter of 2019. Organigram Holdings Inc. (OTC: OGRMF) reported a 131% increase in net sales of $12.4 million for the 2018 fiscal year versus $5.4 million in 2017. Sales for the fourth quarter increased 76% to $3.2 million versus last year’s $1.8 million for the same time period. Organigram said that the sales to the adult recreational use market will be reflected in the first quarter of fiscal 2019 which includes the three months ending November 30, 2018. The company also reported net income of $20.5 million in 2018 up from $(10.9) million in 2017. Most of those gains came from the fourth quarter where Organigram clocked net income of $18 million versus a loss of $2 million for the same quarter last year. Gross margins increased to $52.5 million in 2018 from $(3.3) million in 2017. The company said that excluding fair value adjustments on biological assets, those figures would be $6.5 million and $(1.9) million, respectively. The company said that its 2019 sales will be dominated by adult recreational use revenue and that the company estimates first-quarter sales alone will top that of the full year for fiscal 2018. This despite only a portion of that quarter will include adult use sales. Organigram went even further and said that second quarter 2019 sales will beat the first quarter based on purchase orders received to date. Organigram said that it believes that it currently has the leading market share position in the Maritime provinces of New Brunswick, Nova Scotia, and Prince Edward Island with a strong presence in Alberta, Manitoba, Newfoundland, and Ontario. As a reminder, the company has signed adult-use recreational supply deals or listing agreements with customers in nine out of the ten Canadian provinces (Quebec is the exception) and has already shipped to all nine of those provinces. Quebec remains a target for 2019. 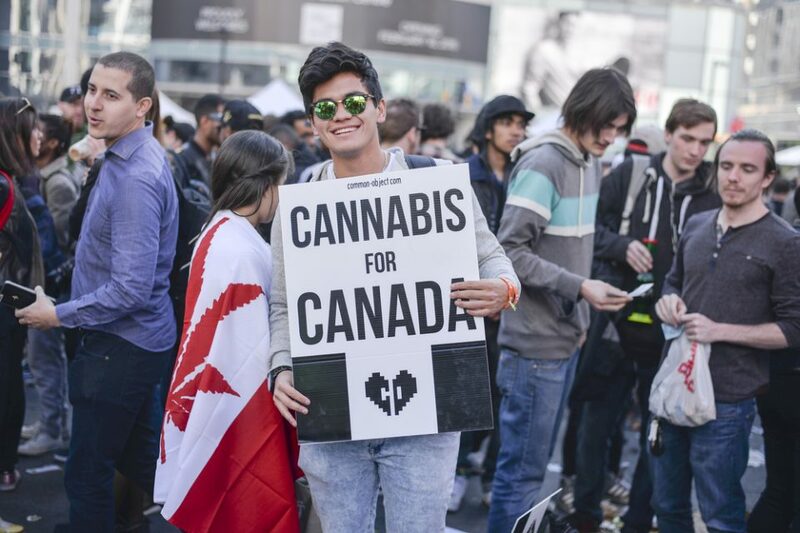 It has been a little more than a week since recreational cannabis sales were launched in Canada, and already the policy has become a big hit. Millions of dollars in cannabis sales have already been recorded, and in the province of British Columbia alone there have been more than 21,000 transactions. 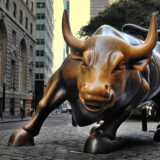 Although some cannabis companies, like MedMen, have posted large revenues with considerable expenses to counter its gains, other cannabis companies have enjoyed much rosier financial outcomes; such as Delta 9 Cannabis Inc. (NINE), THC BioMed Intl Ltd. (THC), and Organigram Holdings Inc. (OGI). It’s time for your Daily Hit of cannabis financial news for July 30, 2018. Last month Scythian Biosciences agreed to sell its interests and assets in Argentina, Columbia, and Jamaica to Aphria Inc. in a deal valued at $193 million. 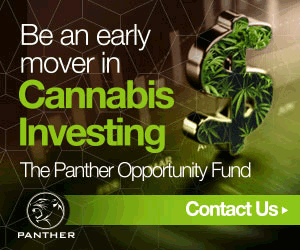 Now the company is taking that money to enter the Florida Medical Marijuana market in a deal valued at C$136 million. Scythian signed a letter of intent (LOI) to purchase CannCure Investments Inc, which is an Ontario-based company that is itself in the process of acquiring an interest in the Florida-based 3 Boys Farms, along with The Healthcare Organization. In addition, the deal includes a Florida agricultural company that has a license to operate as a Medical Marijuana Treatment Center in the state. The deal is expected to close on or about October 15, 2018. The FDA giveth and the FDA taketh away. On July 27, 2018, Insys Therapeutics (INSY) announced that the U.S. Food and Drug Administration declined to approve the company’s New Drug Application for Subsys, an opioid-based painkiller, on the grounds that it was potentially unsafe. News of the denial on Friday sent Insys shares sliding by 9% to $6.62. For the last several years, Insys shares have been on the decline, due in large part to the company’s ongoing legal issues. Canadian-based Organigram Holdings Inc. (OGRMF) stock rose over 2% to approximately $3.43 after the cannabis delivered solid results for its fiscal third quarter. The company reported sales of C$3.7 million for the fiscal third quarter versus last year’s C$1.9 million in the same time period. The company also reported net income of C$2.8 million for a sequential increase of 162% compared to $1.1 million in the second quarter. This easily topped last year’s third-quarter loss of $C2.3 million. Phivida Holdings Inc. (PHVAF) won the approval of its Form 211 by FINRA, and the approval to graduate on to the OCTQX Best Market as a foreign issuer, with full DTC eligibility now in process. The Company’s common shares are scheduled to commence trading on the OTCQX under the symbol “PHVAF” effective July 30th, 2018. Village Farms International, Inc. (VFFIF) and Emerald Health Therapeutics, Inc. (EMHTF) announced that their 50/50 joint venture for large-scale, low-cost, high-quality cannabis production, Pure Sunfarms, has received its cannabis sales license from Health Canada. Pure Sunfarms is now permitted to immediately begin selling product from its expanding inventory of high-quality dried cannabis, including to Emerald Health Therapeutics, under their previously announced supply agreement, as well as to address significant demand from other licensed producers. 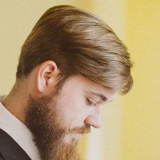 This sales license also positions Pure Sunfarms to secure supply agreements with provincial government distributors for the imminent legal adult-use marketplace. The company’s cultivation the cost per gram for dried flower came in at C$0.80 per gram “all-in” which includes direct labor and materials, allocated overhead and depreciation. Excluding depreciation, the cost was C$0.58 /gram. 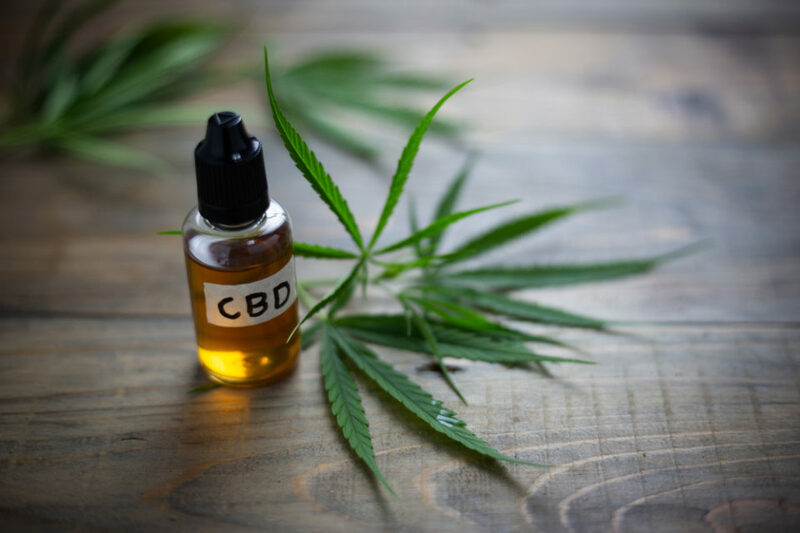 Organigram reported that its cannabis oil sales volume increased 39% sequentially to 768,400 milliliters from the second quarter and jumped 452% over last year’s third quarter. The sales volume for dried flower increased 28% sequentially from the second quarter to 303,428 grams and rose 55% over last year’s 196,129 grams. The company is in solid financial position with $156 million in cash and short-term investments (up from $34 million at the August 31, 2017 year-end). Still, there is $98 million in long-term debt and convertible debentures. Last week, Echelon Wealth Partners initiated coverage on Organigram with a speculative buy rating and a $7 price target. The company said that its Phase 4a (26 grow rooms) and 4b (27 grow rooms) construction expansions began in Q4 including a substantially complete 40-megawatt (peak capacity) substation worth $4 million – total cost of Phases 4a and 4b (including the $4 million spent on the substation) estimated to be $70 million bringing target production capacity to 89,000 kg/annum. Phase 4c (24 grow rooms) which has an estimated cost of $40 million would bring target production capacity to 113,000 – construction scheduled to begin in January 2019. It’s time for your Daily Hit of cannabis financial news for July 23, 2018. Acreage Holdings continues to quickly take charge in dominating the U.S. cannabis scene. Today’s news of raising $119 million will comfortably position the company to go public on the Canadian Securities Exchange this year. In addition to raising what could be the largest private round in the U.S. cannabis industry, Acreage completed the roll-up of control positions in several U.S. states. Penny stock cannabis company PotNetwork Holdings Inc. (POTN) reversed its recent decision to become a fully reporting SEC company on Sunday. Just a days ago on July 16, PotNetwork said it had filed a Form 10 with the Securities and Exchange Commission (SEC) to become a fully reporting company. Although it’s no secret that many Hollywood stars have been known to indulge in cannabis use from time to time, most have been reluctant to publicly open up about their affinity for cannabis. But now that recreational cannabis is legal in California, it seems like every celebrity with even a modicum of fame is rushing to cash in on the legal cannabis industry. 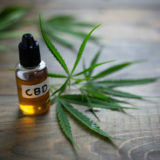 Hemp oil supplier and manufacturer, CV Sciences (CVSI), announced that it has applied to list on the NASDAQ Capital Market. Until approved, the company will continue trading on the OTC Markets under its current symbol, CVSI. 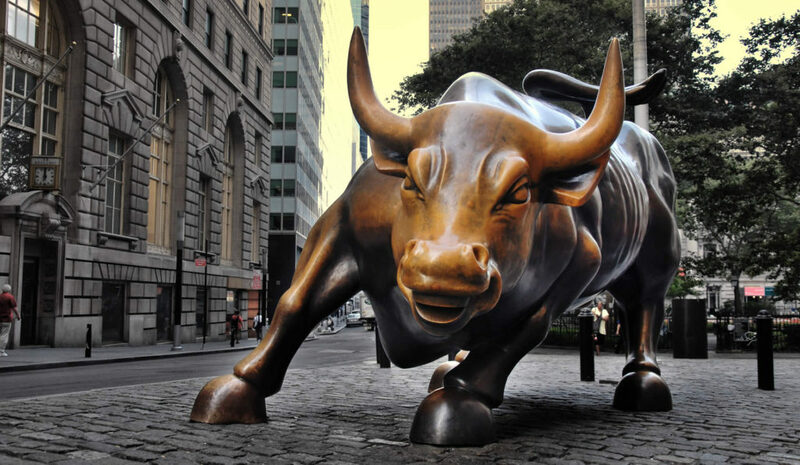 “We believe up-listing from the OTC Market to the Nasdaq Capital Market will increase corporate visibility, improve liquidity, and broaden awareness in the financial markets,” said CV Sciences CEO Joseph Dowling. Additionally, the company’s Board of Directors has approved a reverse stock split of all outstanding shares of common stock. 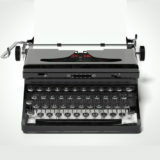 If approved by stockholders, the company will have a ration sufficient to meet NASDAQ’s minimum bid price requirement. Organigram Holdings Inc. (OGRMF) today gave shareholders an update on the progress of the expansion of its cannabis production facility, located in Moncton, New Brunswick. The company is in the final stages planting the remaining three of the sixteen three-tier Phase 3 cultivation rooms. Staggered harvests from the company’s Phase 3 cultivation rooms are expected to begin in August. Construction on the facility’s Phase 4 expansion has already started and will be completed over three stages in 2018 and 2019 and should cost the company approximately $110 million. Once completed, Organigram’s cultivation capacity will increase to 113,000 kilograms per year. 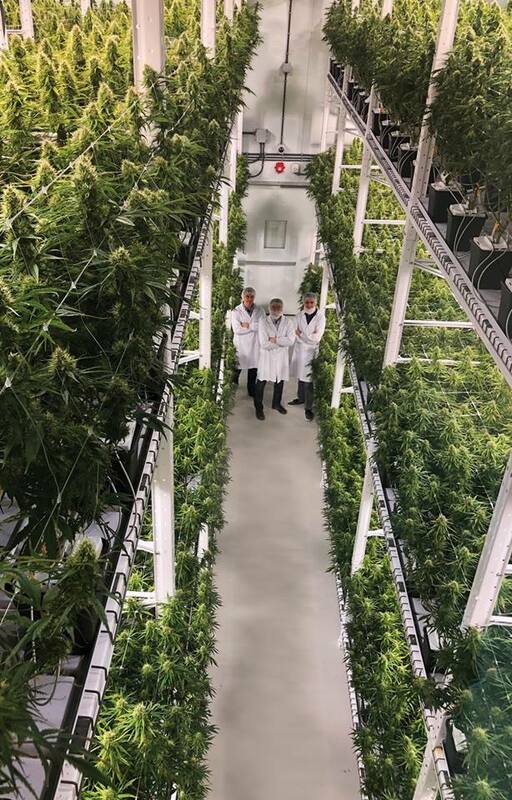 “We are pleased to successfully complete our latest expansion project on time and on budget to meet the needs of the existing domestic and international medical market as well as the launch of the recreational adult-use market in Canada on October 17, 2018,” said Greg Engel, CEO of Organigram.